Scale: 1:192. 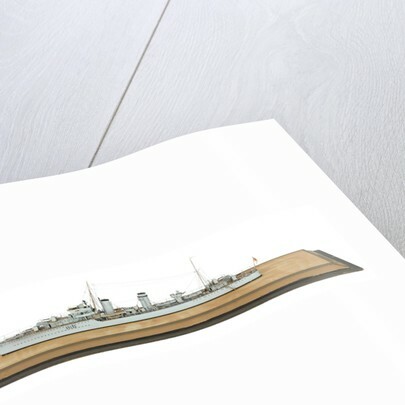 Waterline model of the destroyer HMS 'Daring' (1932). 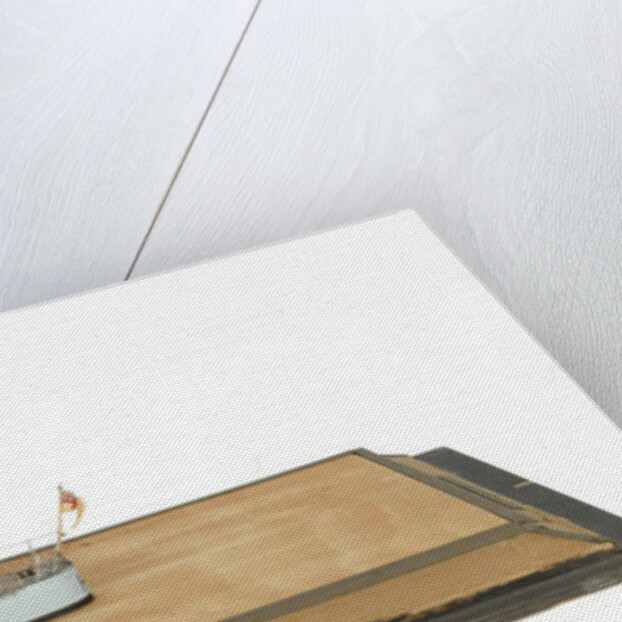 The model is decked, equipped and rigged. 'H16' is painted on the bows and stern. A plaque on the base is inscribed 'H.M.S. Daring First Destroyer Mediterranean Fleet, April - December 1934'. Built at Woolston by Thornycroft, 'Daring' measured 326 feet in length by 33 feet in the beam, displacing 1,375 tons. Its main armament comprised four 4.7-inch guns, one 3-inch anti-aircraft gun and eight 21-inch torpedo tubes. In 1932, it served as tender to 'Pembroke' and in December of that year was commissioned into the 1st Destroyer Flotilla (Mediterranean), where it was captained by Lord Louis Mountbatten in 1934. It then joined 8th Destroyer Flotilla in China, 1934-38. In February 1940 'Daring' was sunk off Ducansby Head by 'U-23' while escorting convoy H.N.12. 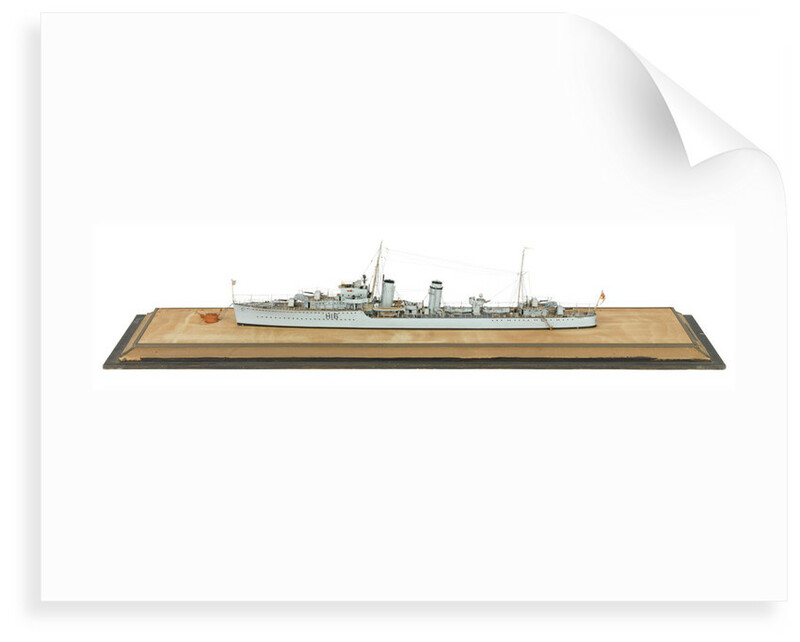 The model maker Norman Ough began as an art student. His models attracted attention at the 1935 Wembley exhibition and he worked for the Imperial War Museum for a time. He was totally dedicated to his craft and was sometimes taken to hospital suffering from malnutrition through ignoring more basic necessities. He died in 1963.